Five bishops and about thirty priests concelebrated. Among the invited guests were representatives from the Salvation Army, the Ambassador of Ireland, the National Prosecution Authority. There were about 1000 who attended the mass- representing our multicultural society. To unite against abuse and violation of the dignity of women and children. 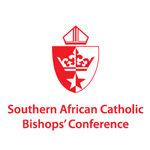 “On Saturday, 6 August, 10 am, a prayer service was held at the Sacred Heart Cathedral, Pretoria. All clergy and pastors, members of the public, various organisations and sodalities were invited to participate in this event, so that together we could express our solidarity with all those abused. It was really awesome to see so many youth taking part and wearing shirts with the slogan ‘PROUD TO BE CATHOLIC’. We adults can learn a great deal from the youth and their enthusiasm. It was truly a beautiful day and Fr Sammy Mabusela’s talk was so inspiring. He opened his talk with the profound words from a well known pop song “Shout, shout let it all out, these are things we should talk about, so come on, let’s talk about it”. He said it was time that we as Christians did start talking about these issues and making others aware of what is happening out there. Octavia Ephraim was the MC for the day and what a beautiful gracious lady she is, passionate about making a difference. There were also talks given: one by a representative from Child Trace, and it is frightening to know that children are not only being trafficked from country to country but even under our noses here in Johannesburg from the west rand to the east rand; Diane Shaw from the Sacred Heart Healing Centre gave a presentation on muti murders, explaining that a lot of children who go missing are also being dismembered for their body parts by some unscrupulous sangomas that get paid for supplying body parts. There have been cases in South Africa where mutilated children have been found that were being held captive in houses with certain body parts been chopped off, these are called ‘human butcheries’, body parts on demand. Mrs Malebo Kotu-Rammopo from the National Prosecution Authority ( NPA) assured us that she is doing everything in her power to get the outdated laws changed so that children are protected in our country.